Meet children’s author Jane Kurtz! Come hear Jane tell her story of growing up in Ethiopia, how it influenced her writing and the development of the NGO Ethiopia Reads. 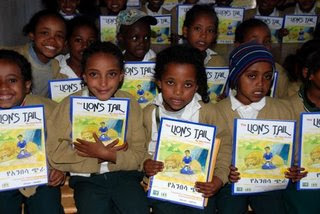 Jane’s books -- Only A Pigeon, the Lion’s Tail (Amharic/English version) and Saba will be available for purchase. Dual language Amharic/English books -- The Beekeeper of Lalibela, Fafi’s Sheep and Silly Mammo will also be available. The kitchen at Highland Origin Café will be open for your convenience. Ethiopia Reads Events - come meet Jane Kurtz!